A specialist in adoption and foster care at Spaulding for Children, Nyiemah Twyman personally knows what life is like for the children on her caseload. When she was younger, Ms. Twyman had been in foster care. That life experience helped drive Ms. Twyman to do all she can to help children in need of a loving family and a permanent home at Spaulding. She also serves today as a counselor at Vista Maria, where she helps adolescent girls develop the characteristics needed to overcome difficult circumstances. In both positions, she helps youngsters develop critical skills they will need as adults. In her professional work, Ms. Twyman helps children who may be temporary wards of the court and children who may be permanently separated from their parents due to abuse or neglect. 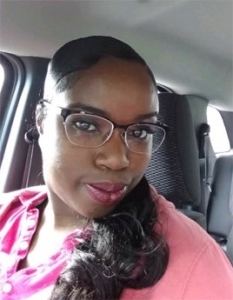 Ms. Twyman serves as a case manager and advocate, helping find what each child on her caseload needs from getting enrolled in school, to tutoring services, to counseling and guidance, and to medical and dental care. Children in foster care or awaiting adoption may not see or understand the big picture. However, empathy, compassion and kindness are human characteristics that are developed through contact with caring adults. Her professional goals include helping children on her caseload to understand that their lives, too can be what they want. The secret is helping them understand how their lives in the present will help make their dreams for the future come true. By helping children develop characteristics, including self-confidence and the commitment to school work, they are doing what they need to build a happy and successful life as adults. Ms. Twyman’s initial goal in attending college was to become a neo-natal nurse. Soon, she discovered a passion for psychology and criminal justice. She discovered how she could serve all three through social work. So, after graduating from Olivet College in 2011, she embarked on a career as a counselor, providing guidance to young people in danger of embarking on – or continuing on – the wrong path in life. “The young girl took these ideas to heart. Now she helps others understand how to endure doubts and misunderstandings by sharing her example. In her career at Spaulding for Children, Ms. Twyman has witnessed the great impact one caring person can make on the life of a child. Ms. Twyman remembers. Every day now, she works to help others in her care discover the lesson.